Click the blue Rubric Library button to open up the library (circled in green below). This will include all public rubrics, your personal rubrics from previous assignments and institutional rubrics (if your school has an institutional plan). 2. 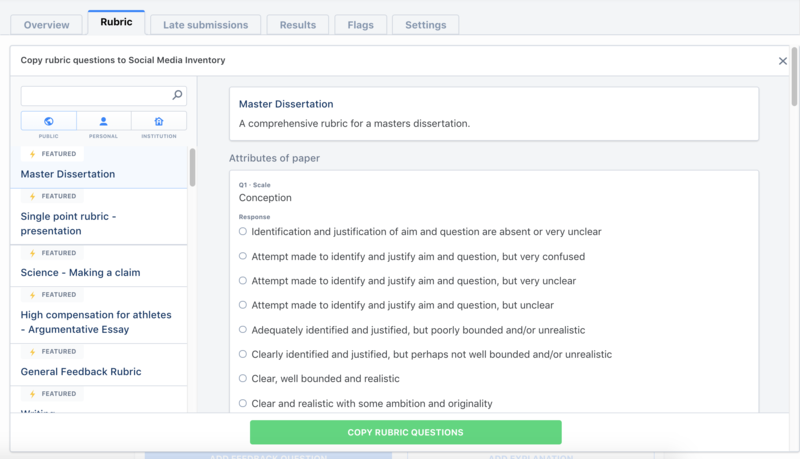 Search through the correct library to find the rubric you are looking for and then click Copy Rubric Questions at the bottom. 3. All the rubric questions are copied into your assignment! You can now edit or delete questions as needed.